So…What are you giving up for Lent? 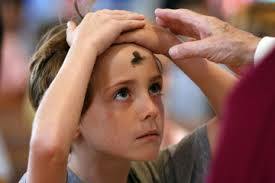 Tomorrow is Ash Wednesday, the beginning of 40 days and 40 nights of Lent for many Christians. What are you giving up? Or more importantly, what are you going to do? The three things I heard this week to do for the Lenten season were fast on Ash Wednesday and Fridays, carve out more time for daily prayer, and do good works. Yes, I’ll be hungry tomorrow, and probably every Friday, craving a fat juicy steak that I’d normally not care about. It’s a funny thing when you can’t have something, you fixate on it. Second, I will find time to pray more. If you believe that prayers make a difference in this world, then more prayer should come naturally. Third, there is the part about doing good works. I think that is most difficult of all. Off the top of my head I don’t know what “good works” I can do. However, I am confident that if I keep my eyes open and look around me, I’ll see small ways where I can make a difference. I’d like to know what you are doing for Lent. What good works are you going to do? Here are two heartfelt stories I read yesterday. I hope you enjoy reading them and appreciate those close to you! From SwimSwam a story about USC’s Jack Wagner — NO FEARS. 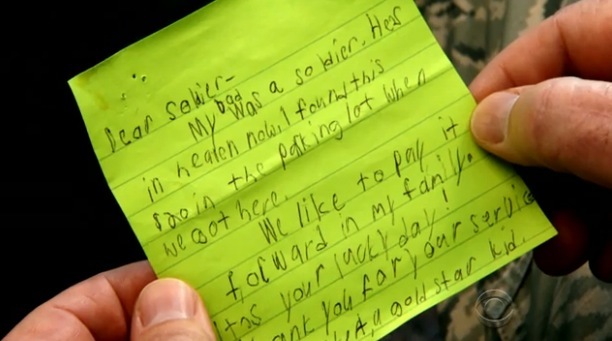 A story about a young boy and his gift to a soldier that will be remembered for a lifetime. Here’s a slideshow of 13 Popular Things People Give Up for Lent. This entry was posted in Kids, Parenting, Prayer, Religion, Women and tagged Ash Wednesday, kids, Lent, parenting, swimming by bleuwater. Bookmark the permalink. Thank you! It’s so rewarding to hear good things about my stories. Thank you so much. I love getting feedback. I am so flattered by your nice comments. Please share my blog with your friends! Thanks for the suggestion about the pics. I’ll keep that in mind. Thanks for reading my blog! I just use the basic WordPress stuff. My main skill is in the area of writing as an editorial journalism major and years of writing! Hi, yes this paragraph is actually pleasant and I have learned lot of things from it regarding blogging. Thank you for taking the time to comment on my post. I appreciate it!